Though Image & Form's most notable sales and critical breakthroughs have been on the 3DS, its games often cry out to be played in HD. The SteamWorld titles evoke an utterly charming steampunk aesthetic, with clunky and scrappy robots shining at full resolution on a TV. 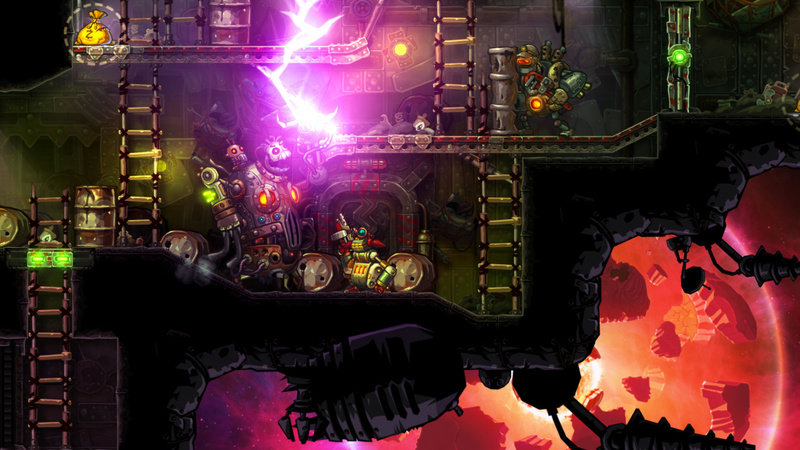 SteamWorld Heist was another hit for the studio on 3DS, but there's little doubt that a number of eShop gamers have been waiting to play it in its full glory on a bigger screen. First of all, it's worth pointing out that this game is the same, in most ways, to that 3DS release from December 2015. We'll be recapping some details here but focusing on what's different on Wii U; if you want a relatively exhaustive summary of the gameplay mechanics and so on then you can also check out our original SteamWorld Heist review. To recap on the basics, this title adopts a 2D turn-based strategy approach, yet also incorporates skill-based aiming. All attacks are manual, and as a result you can be strategically perfect but mess up the execution, or alternatively bail yourself out with a fluky (or skilful, if you prefer) ricochet shot that defies the odds. 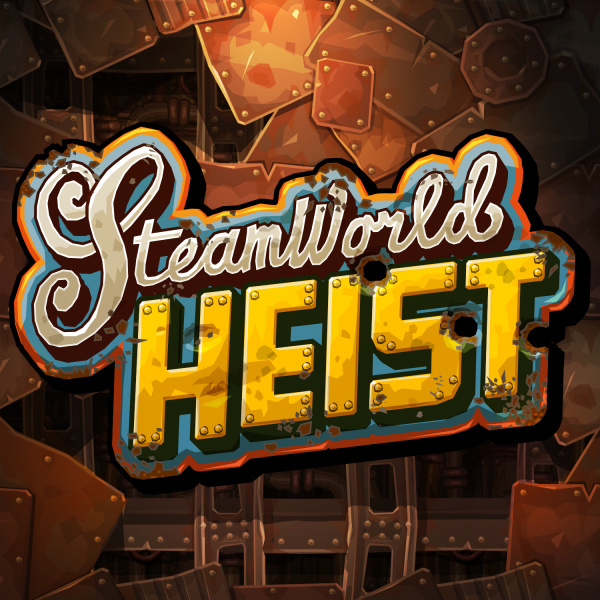 It's extremely clever design, helping Heist to stand out and also make it rather addictive in the process. The campaign itself sees you take on the role of Captain Piper Faraday, a pirate that becomes a freedom fighter against assorted villains. As you progress through the story you accumulate a quirky cast of bots, each with their own humorous characteristics and unique class-types. 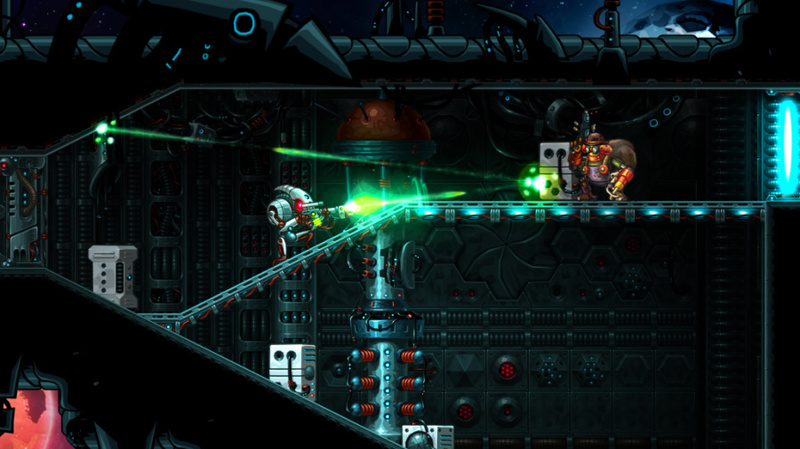 Some are powerful units that are ideal for absorbing and dishing out punishment, others (like Faraday) can use long-distance scoped weapons, others opt for assault weapons and plenty of movement, and others include a military bot that's deadly (to enemy and friend alike) with a grenade launcher. Putting together your crew, levelling up their abilities and boosting equipment is the key loop, and it's smartly balanced. The actual missions offer plenty of action; even the quickest players should be looking at over a dozen hours to blast through. Up to three stars are awarded depending on performance (a third is for collecting 'epic swag'), and for players there's always the balance of targeting enemies, grabbing loot or simply high-tailing it to the evacuation area. Difficulty can be changed between five options before every mission, with greater rewards allied to higher risks if you opt for a tough challenge. Even on the middle difficulty we had a few painful defeats (losing half our money in the process) and some close calls. Any player should be able to find a difficulty setting that suits them. Overall, this is the same fantastic game it was on 3DS, with a campaign that delivers in both quality and quantity. We still have the niggling complaint that learning enemy move and attack ranges is trial-and-error at first, but aside from that it's beautifully polished. Enemies and environments get increasingly creative as the story wears on, and there are some truly memorable boss encounters thrown in. That's a short version of what we also said in the 3DS review, so what's different on Wii U? For one thing, the interface has been adjusted to suit the home console environment, with some information on team members and other key information now on the TV screen rather than on the lower screen as they were on 3DS. The GamePad, unless you've opted for off-TV play, simply shows a map, which is a hugely useful reference point. You can also play with the Pro Controller if you wish; this is fine, as you can easily move the camera to explore a stage regardless. A small downside is that while a press of right stick brings up the map while playing off-TV on the GamePad, while playing with a Pro controller on the TV the map is locked to the chunkier controller's screen. The most notable improvement on Wii U is, naturally, in presentation. 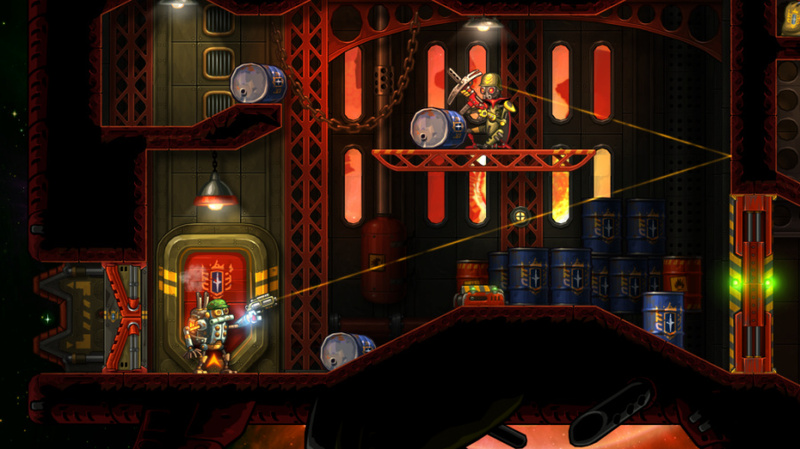 SteamWorld Heist does look fantastic on Wii U, blowing away the smaller and limited capabilities of the 3DS. Environments and characters have never looked better, while sound quality is also excellent; that's all the better for enjoying the awesome soundtrack. It all ticks along at a lovely 60fps, too. Most importantly, the field of view is widened, giving you greater visibility of the stage; on 3DS long-range shots sometimes necessitated constant camera moves and a little guesswork, whereas extravagant sniper shots are far more feasible here. Both versions are appealing in different ways, and Heist has its own charms on 3DS, but on Wii U it does feel more like playing the game as it was intended by the development team. Finally, we thought we'd touch upon the available DLC, which we bought to try out right from the start on Wii U. This makes sense with 'The Outsider', DLC which adds a small number of stages and an additional playable character. This content emerges throughout the story, starting near the end of the first major chapter, and fits in nicely if picked up early. The stages are welcome extras, while Fen is a neat character that's also hugely helpful as a member of your team through the campaign; they have unique 'charge' abilities that can be ideal for trickier late encounters. That content is worth considering, whereas a less expensive option - a pack of eight hats - is entirely superficial, as you'd expect. They're undoubtedly funny to see in action, but whether they're worth a purchase is down to how much items like these appeal to you on an individual level. There's also a free DLC pack with a few hats included at launch. Overall, The Outsider in particular is worth consideration, especially for those that grab Heist at a launch or cross-buy discount, adding a useful character and another hour or two of stage content. SteamWorld Heist on Wii U is exactly what we expected - a high quality Wii U iteration of a game that was already fantastic on 3DS. The wider field of view and sharper graphics are certainly appealing, and this remains a game that can easily keep players engaged for hour after hour. Image & Form struck gold with its blend of turn-based strategy and skill-based combat, and it's stolen our affections all over again now that it's arrived on Nintendo's home console. Delighted it's turned out well. Hopefully it sells well for Image & Form. FYI to be clear, the review copy was provided by Image & Form (as noted at the end of the review) but I bought the DLC myself. I mentioned the DLC for information, really, the score is for the core game. This is the first time in my life where I've wanted to buy the same game twice in the same console generation. Well done, Image & Form. I knew this would be better on the big screen that's why i am hoping Fire Emblem will return on the bigger screen. The only thing I am torn over is should I buy the downloadable version or the disc based version. One is cheaper and the other may well be more useful if my Wii U dies one day and I need to replace it easily. The game, however, is fantastic and one of the best out there for the 3DS (I'm looking forward to trying it in HD on the Wii U) if you enjoy strategy games. I'm getting this then since I have Dig on my Wii U. Plus 33% off is a good launch discount. At least thats what it says on nintendos official website. I have neither, but I do have SteamWorld Dig on the 3DS. This was one title on my 3DS 'want list' but never got around to buying it. So which one do I buy WiiU or 3DS or do I wait until NX so I can have both portable and home console version in one go! I hope it does well for Image&Form but I'm happy with my 3DS version (don't forget that exclusive launch theme!). Any chance the DLC will ever go on sale? 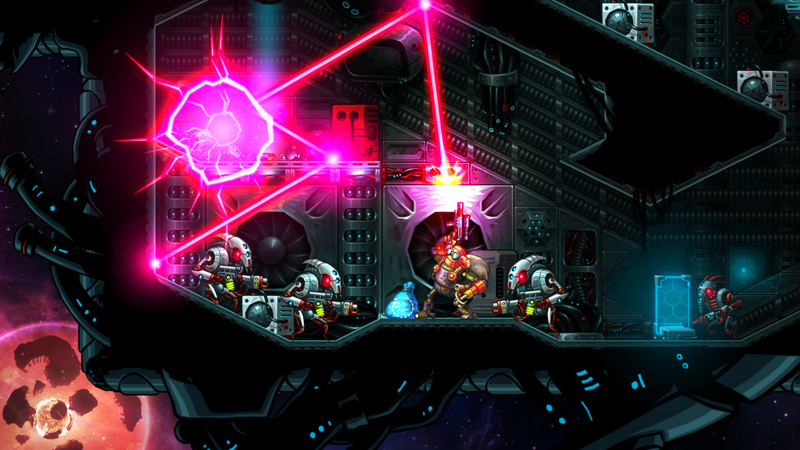 I might do Hard Mode on the Wii U version, I feel like the extra pixels will make some skill shots easier! Bought it digital in the end after getting all excited about a physical version🤔. I surprised myself tbh as it shows how much I've come around to digital purchases over the course of this gen! In the first couple of years of Wii u life id have bought physical 100%! It looks like the Wii U version will be the one I am getting. Turn based strategy games usually are kind of iffy for me but since I loved Dig I am willing to give this game a shot! @Andrzej777 Yes the disc version includes the DLC. Right, he was talking about the eshop game. My bad. @Andrzej777 The Outsider is included in the disc version, yes. Thanks. Cant wait to get my copy on friday. Hopefully they will bring out more eshop collections. A pushmo 3ds collection would be nice.